In early spring, a Goshen College professor, student, and recent graduate stood on white sandy beaches, watched bright pink and orange hued sunsets, and sailed Caribbean seas on a luxury cruise liner. No, they weren’t on vacation — they weren’t even participating in a class — they were on the job. The cruise line hired the trio for a much-needed service: American Sign Language (ASL) interpreting. 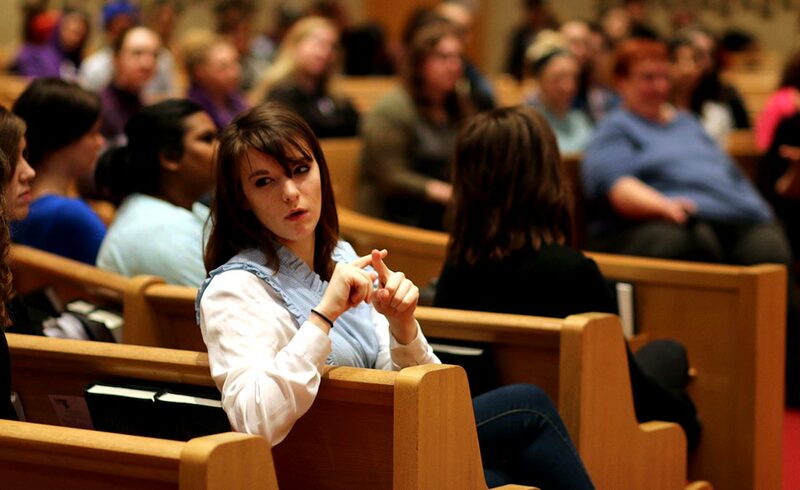 Goshen College’s ASL program is one of only a handful four-year, faith-based ASL programs in the country. 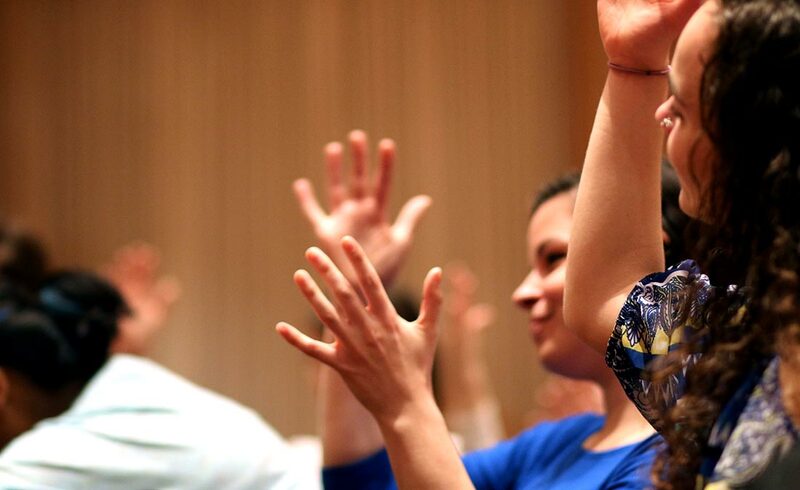 When you factor in Goshen College’s focus on community involvement and international travel, you see that the Goshen College ASL program is truly one-of-a-kind. 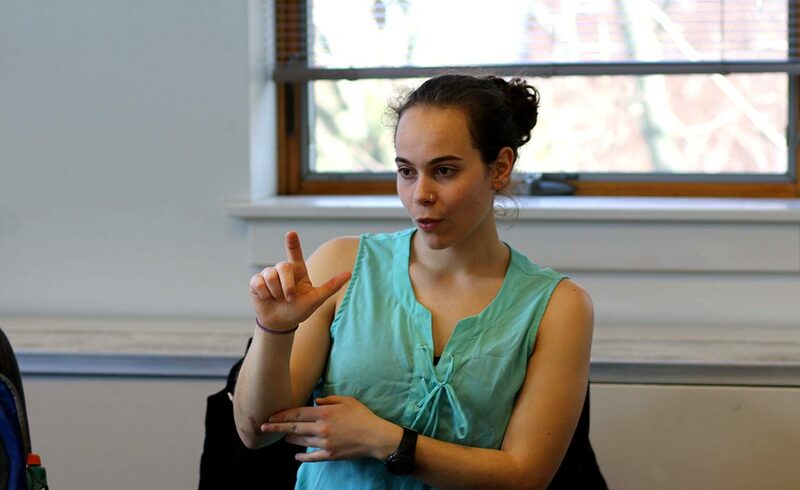 Department chair and associate professor of ASL interpreting Colleen Geier says that the program is not only academically demanding, it’s also socially rigorous. 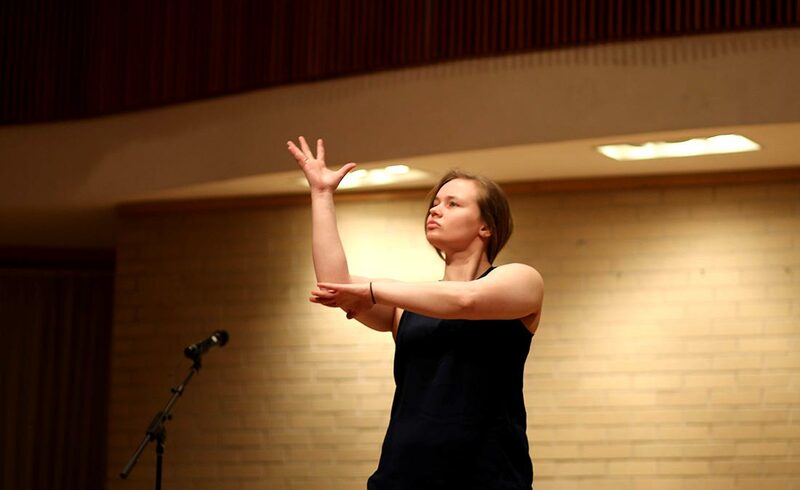 Students are expected to participate in a myriad of events — like going to a local Deaf bowling night or attending Deaf shows in Chicago or Indianapolis. Before they graduate, they must fulfill a number of hours interpreting in classes, meetings, or community events. 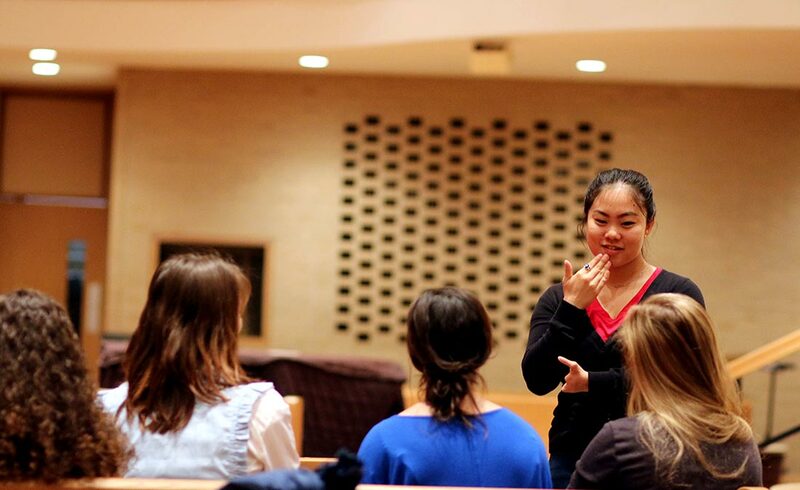 They’re encouraged to participate in Goshen College’s semester-long study abroad program, Study-Service Term (SST), where they live with and work amongst Deaf people in Peru. 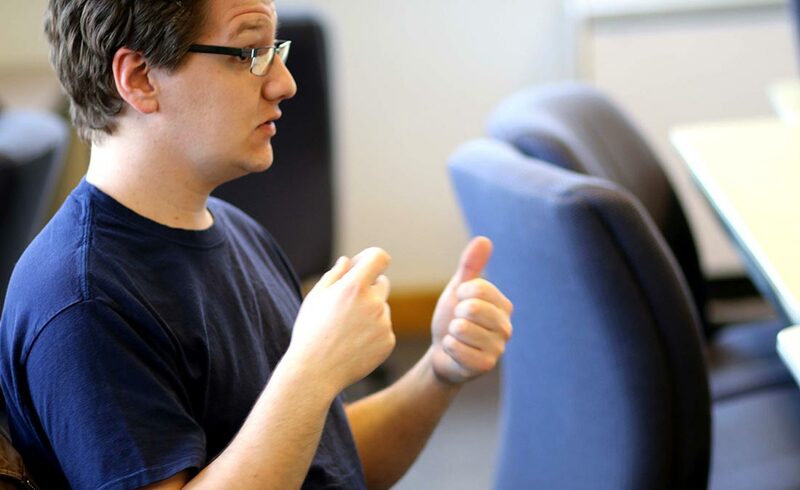 Because students study for four years and are required to fulfill a certain number of hours before graduation, Goshen College ASL students tend to be more prepared for the job market than students in other programs. 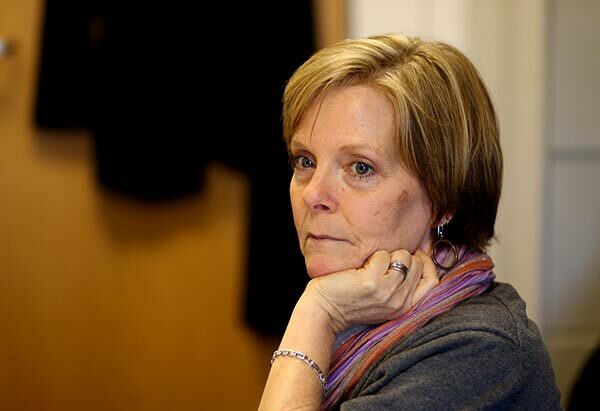 ASL instructor Sandy Slabaugh says that the vast majority of their students become pre-certified as ASL interpreters before they even graduate. Students achieve all of this, Geier and Slabaugh say, so that when they graduate, the students are ready to serve the Deaf community with both understanding and expertise. “We’re graduating people with a four-year [liberal arts] degree, high ethical standards, great attitude, and a wide variety of experience,” said Geier. 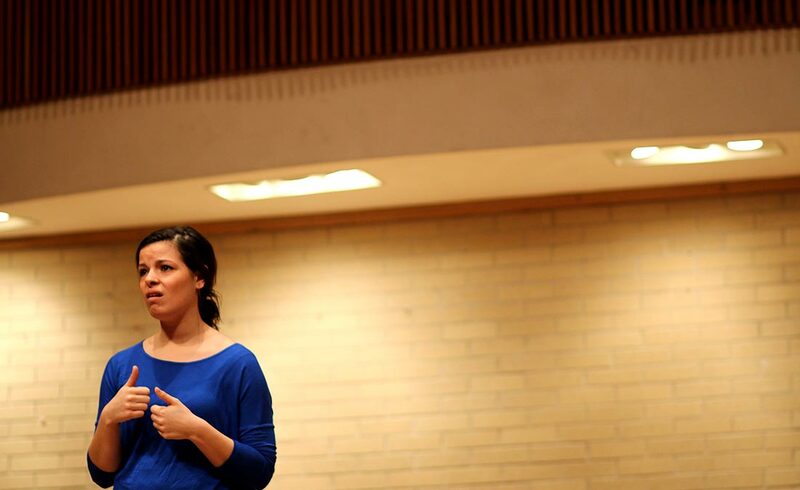 American Sign Language is unlike any language you’ve ever heard … literally. Completely silent, the language uses hand gestures to communicate phrases and ideas, and facial expressions to signal grammar and meaning. Not only is the language quite complicated, it also represents a culture. 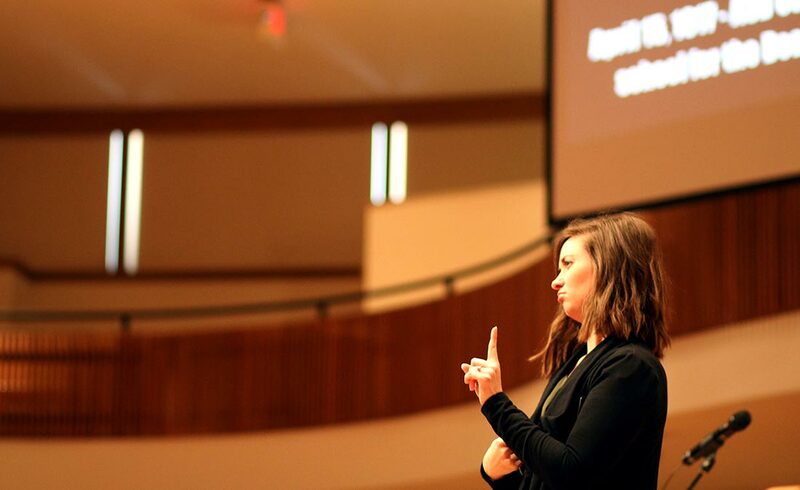 Deaf Culture, says Geier, is innate. Even Deaf children who are born to hearing parents grow up with a different way of seeing and processing the world … mainly, because they’re experiencing it visually rather than auditorily. Deaf Culture is collectivist (or community focused), rather than the Western mainstream individualistic. Deaf people also tend to be more direct. 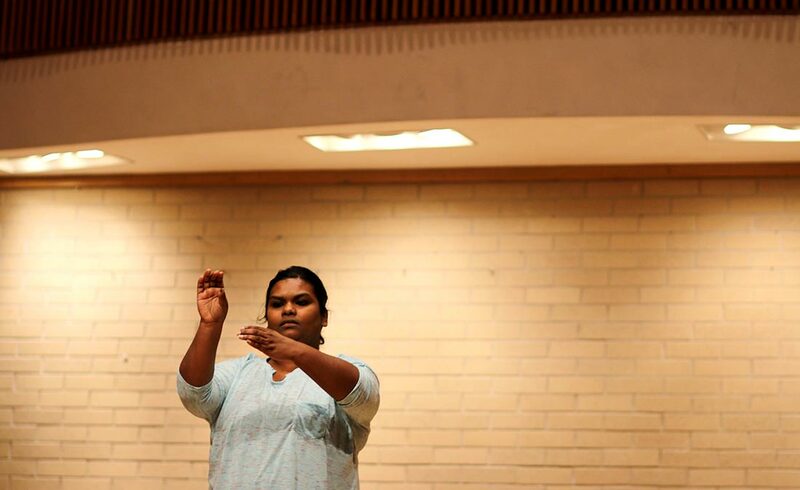 Understanding the rich culture behind the language is something that ASL professors focus on when teaching students. 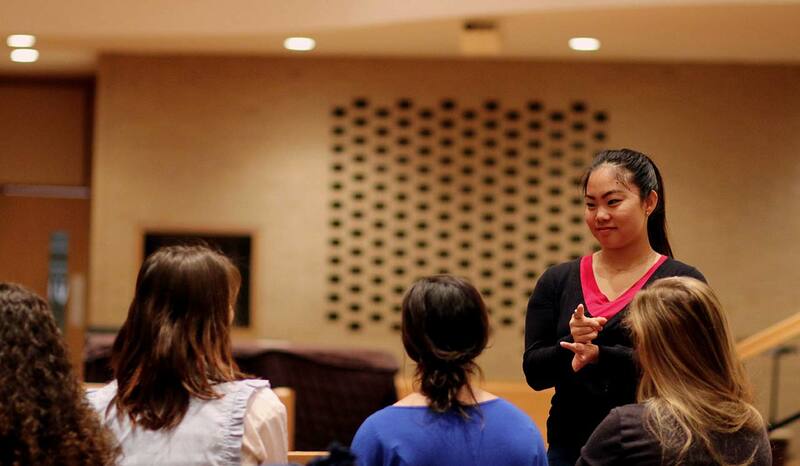 Students are required to go to Deaf events in Goshen and surrounding communities. That way, by graduation, community members and employers know students personally … and they know that the students have a strong work ethic and a good attitude. For the first two years of the program, students learn the alphabet, language, and culture. 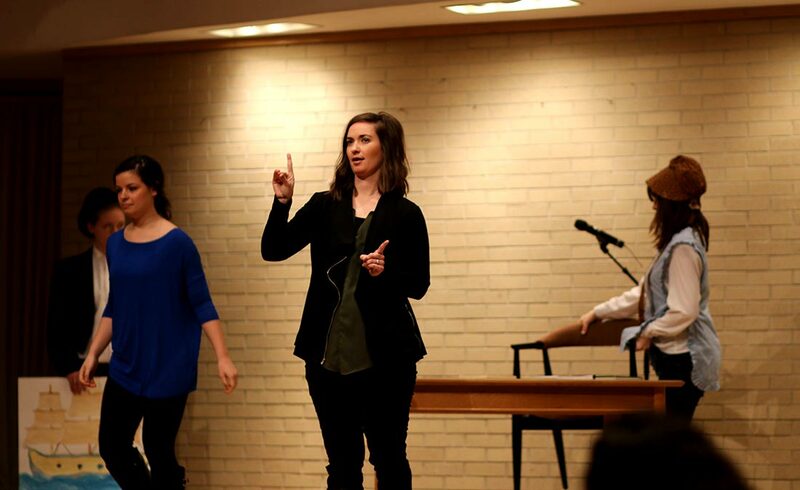 For the second two years, they immerse themselves in interpreting — practicing in classes, chapel, theater performances, concerts, and more. At some point during their college tenure, students travel to Peru on a unit that is completely designed for ASL students. During their senior year, students complete a semester-long off-site internship, usually out of state, in locations such as Alaska, Florida, Maine, Texas, North Carolina, Arizona, and Hawaii. 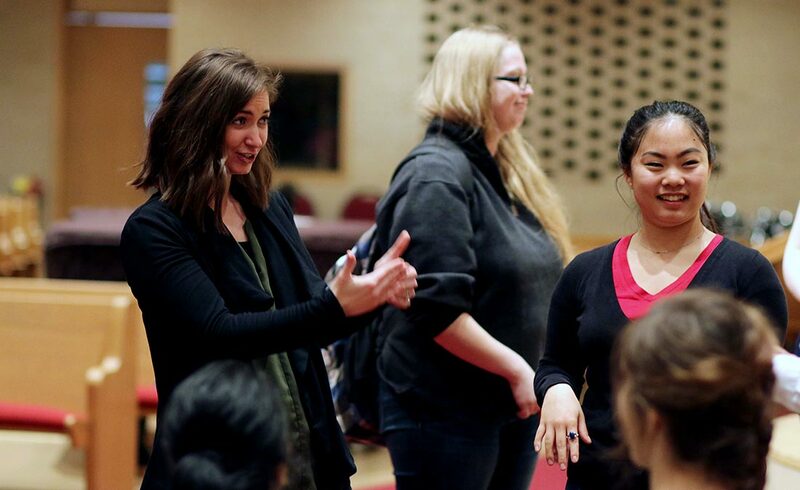 With all their extracurricular involvement and the community-focused curriculum, ASL students tend to become close with each other and the surrounding Deaf community. 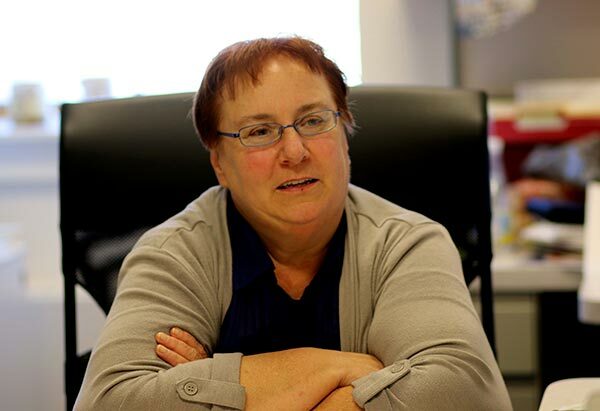 Even after graduation, Geier says that she and her colleagues keep in close contact with their students. 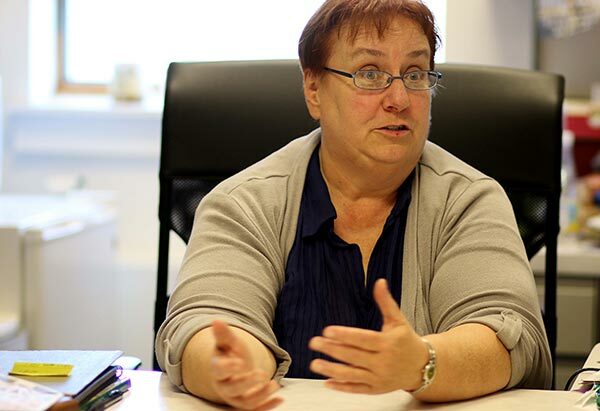 “We give advice and write references, we hear from them a lot,” said Geier. 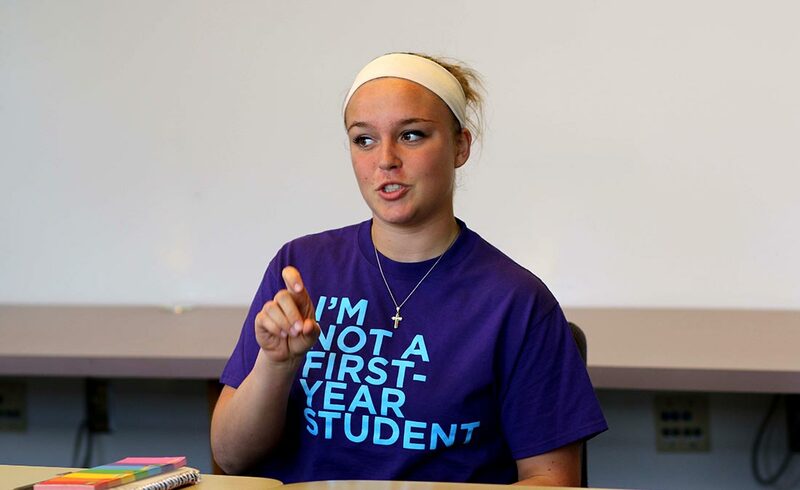 Students who study in different departments also benefit from the ASL program, says Geier. Goshen’s ASL program has been graduating students since 2006. Since then, 100 percent of graduates who want to work as an interpreter have found a job within three months of graduation.